The Chola dynasty has left its strong foot in the Indian History for the elegant architectures, civilization and holistic development of the society. Historians refer to the achievements of the Chola Dynasty over THREE different periods as Early, Medieval and Later Cholas. The Cholas are remembered even after thousand years for their extraordinary contribution to the country and its development in all the verticals like cultural assimilation and promotion of art. Raja Raja Chola I is the most appreciated King in the history of the Chola Dynasty as the country under his reign was exemplarily progressing with remarkable achievements establishing a powerful monarchy in South India with Thanjavur as the power centre. In line with his predecessors, King Raja Raja Chola I also followed Saivism and built temples for Lord Shiva across the region under his power. Out of all the temples he built, the one which has the biggest idol of Linga in the sanctum and the biggest monolithic statue of bull facing the sanctum is called as the Big Temple synonymous to the size of the statues and the height of the tower atop the sanctum. Could you believe, it was purely with the efforts of the humans and no machineries were involved in placing an 80-feet monolithic rock on top of the 216 feet tall tower? Yes, the Engineering marvel still remains a mystery because, Thanjavur, the mid-sized town where the temple has been situated is an agricultural land and there is no evidence of such rocks around a circumference of several kilometer radii. Ancient stone sculpture in the Shiva Temple in Gangaikonda Cholapuram, Tamil Nadu,India.The temple is one of the UNESCO world heritage sites. 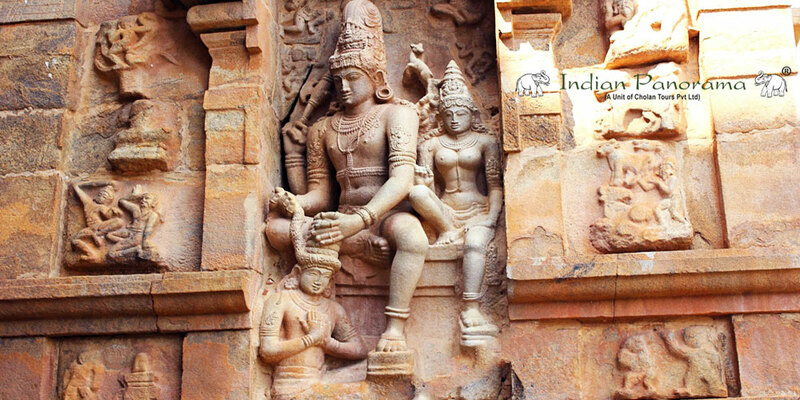 Experts say this sculpture shows Rajendra Chola being crowned by Lord Shiva, instead of his father Raja Raja Cholan. The successor of King Raja Raja Chola was King Rajendra who was the resilient King in the Chola Dynasty next to his father. King Rajendra was keen in expanding the horizon of the Chola Dynasty and he conquered the Kingdoms covering North India and River Ganges. As he was so victorious in defeating all the other Kingdoms, he was acclaimed as “Gangai Kondan”. To commemorate his continuous victories, he decided to build a temple as replica of his father’s in all aspects. That magnificent temple is located in a small town called Gangai Konda Cholapuram. The Gangaikonda Cholapuram is a small town located in Jayankondam, Tamil Nadu, India. 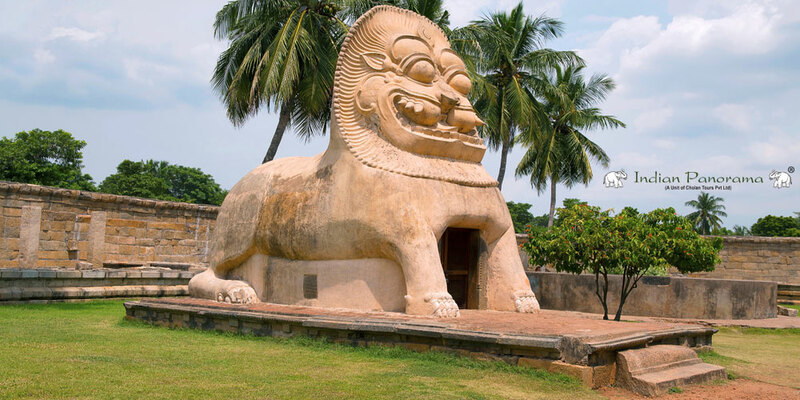 It became the capital of the Chola dynasty in c. 1025 during the reign of Rajendra Chola I and served as the Chola capital for around 250 years. The town is about 70 kilometres (43 mi) northeast of Thanjavur city. As of 2014, the ancient city exists as a heritage town in the Ariyalur district of Tamil Nadu, India. The great temple of Brihadeeswarar Temple at this place is next only to the Brihadisvara temple at Thanjavur in its monumental nature and surpasses it in sculptural quality. If you have a plan in your itinerary to visit Tanjore and Chidhambaram, don’t afford to miss this masterpiece! The temple looks like the same as you in Tanjore, but with a different color tone. The area covered by this temple is comparatively lesser, but it has its own grandeur and beauty! The sanctum has been built with a special type of stone called “Chandra kantha” which keeps the sanctum cool during summer and warm during winter, which is definitely a scientific surprise! Besides the regular shrines and sub shrines in this temple, there is an entrance inviting us with a lion head, upon entering, you go down the stairs, ending up in a pond, which was the swimming pool of the then Queen and Princess. But for those who look from the lion’s mouth, the pond is invisible. This excellent structure is called as Simhakeni(Lion-well). The 9-story vimanam (tower) is a colossal attraction before one deep dive into the sea of the Chola’s carvings. More than the Mahamandapa (Nandi), “Ardanadeswar” is a heavenly site where Siva and Parvathy would pose a godly gesture. Sculptures including the dancing Nataraja and peaceful Saraswathi make modern-day sculpting techniques look puny. Shiva garlanding his devotee is the most favorite tourist attraction. There are two theories associated with this – One is his pious devotee being “Chandesa” (One of the 63 Nayanmars) and another being Rajendra Chola I himself. Whoever it is, the sight looks so divine. 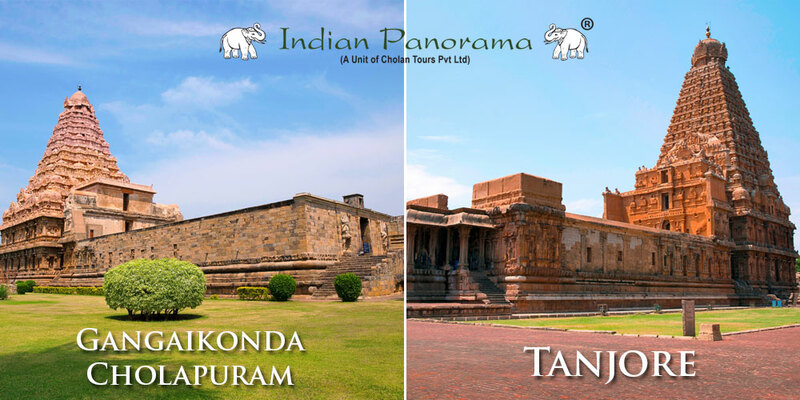 Thanjavur Big Temple, Gangai Konda Cholapuram Brahaeeswara temple and Dharasuram Airavateshwarar temple are collectively called as the Great Living Chola Temples for their matchless architectures, innate carvings, rich legacy and heritage. They are acclaimed as the World Heritage Site by UNESCO for their indomitable architecture and the good state of preservation right from the inception crossing over thousand years. The temples built in the Dravidian style of architecture, testify the excellent craftsmanship deserving an Outstanding Universal Value. The Chola who conquered the Ganges brought some holy water from the Ganges and Cauvery and mixed the water in the “Cholamangalam Lake” he had built. This is fondly mentioned as the “Ponneri Lake”. Get drenched in the series of “Shaivite” (the Shiva clan) mythological engravings in the surrounding walls. Sub shrines housing the deities like Goddess Brihannyaki, Lord Ganesha, and Chandikeshwara accumulate the free squares along with the main deity Lord Shiva. Gangaikondacholapuraal is the righteous successor of the Big temple as Rajendra Chola I was to Raja Raja Chola. Besides all the festivals that are regularly celebrated in this shrine, the most prominent one is the Annabhishekam done in the Tamil month Aippasi, that is during Mid-October to Mid-November. 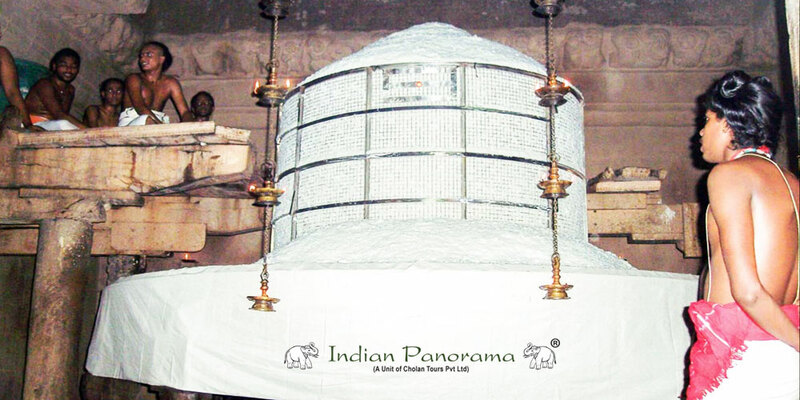 The 13 feet tall Linga idol in the sanctum is covered with cooked rice on this day and after all the religious rituals are over, the rice is given as offering to the devotees. This festival attracts thousands of devotees from the nearby areas. 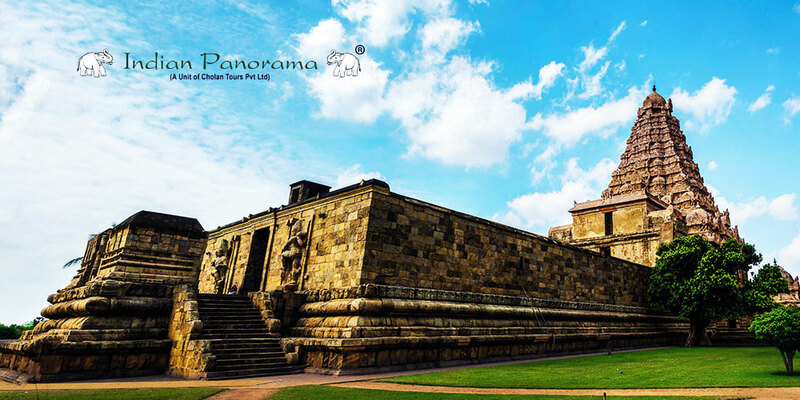 Plan a trip to Gangaikonda Cholapuram which testifies the brilliant architectures of the Great Cholas of this country, explore, experience and enjoy their incredible achievements! 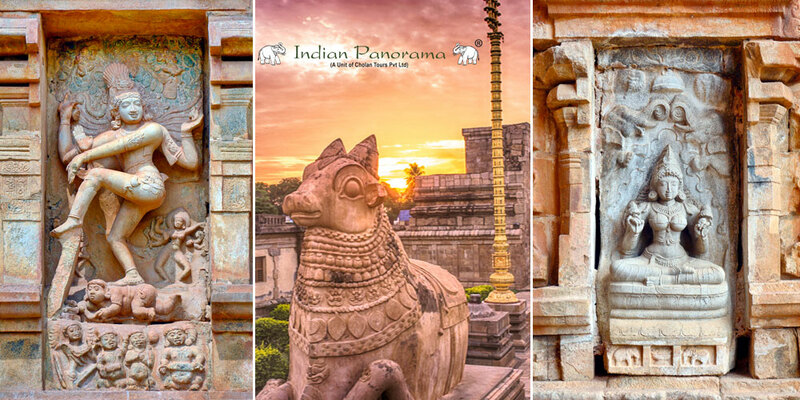 Indian Panorama will help you to plan the tours to Visit Best Places, Tourist Attractions, Ancient Temples in South India in our Customized South India Tour Package and also offer the best Tamilnadu Temple tour packages.